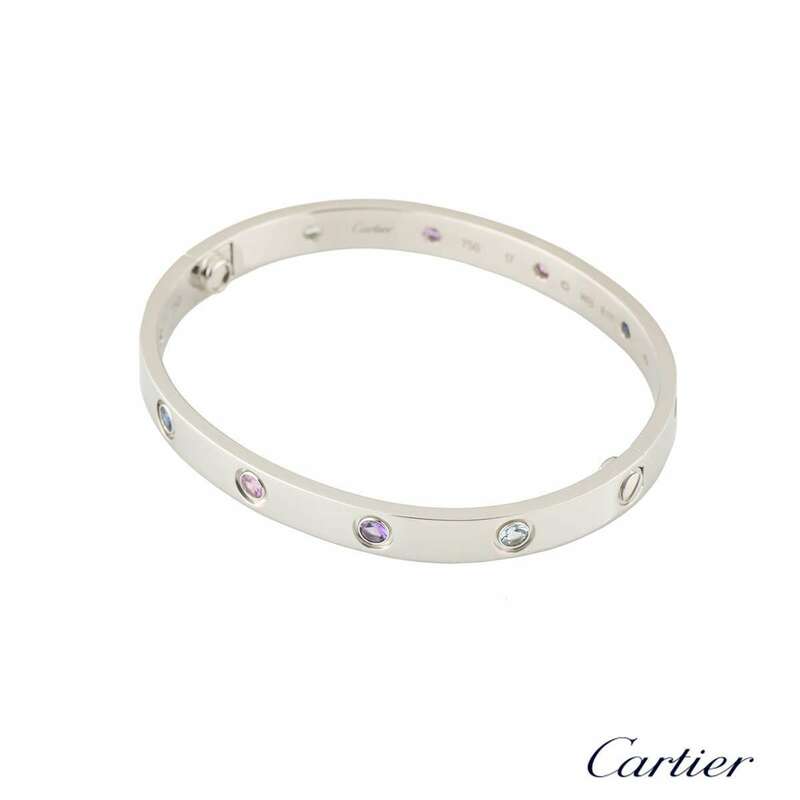 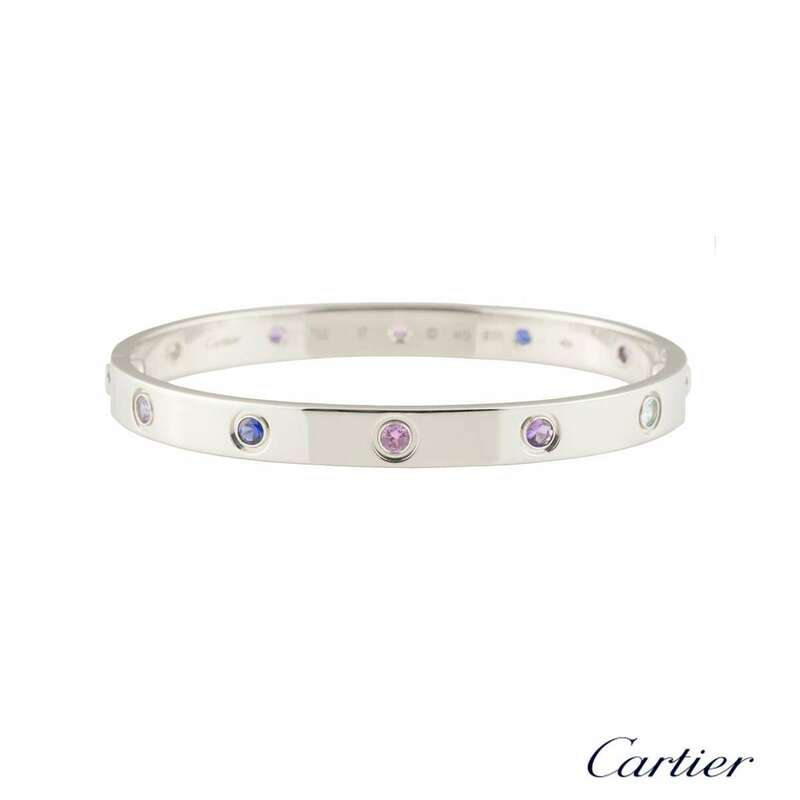 An iconic 18k white gold coloured stones Cartier bracelet from the Love collection. The bracelet is set with 10 coloured stones throughout the centre, including purple spinel, blue and pink sapphires, amethyst, and aquamarine. The bangle has the new style screw system and is a size 17, with a gross weight of 30.70 grams. 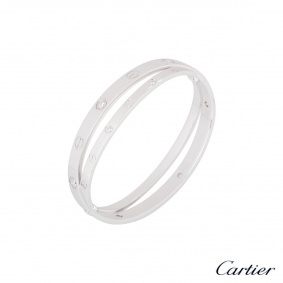 The bangle comes complete with a RichDiamonds presentation box, Cartier copy of sales invoice and papers dated July 2015.